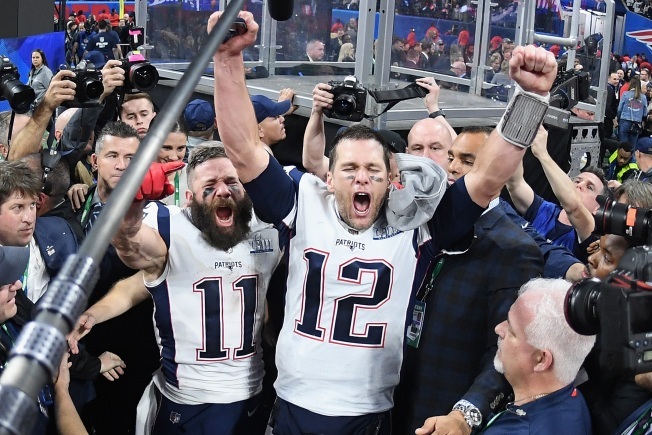 Julian Edelman was named MVP of Super Bowl LIII; the wide receiver had 10 catches for 141 yards. The duck boats will hit the streets of Boston on Tuesday at 11 a.m. for the Patriots' Super Bowl championship parade. One thing the New England Patriots don't have within themselves is the ability to play a Super Bowl that lacks suspense. 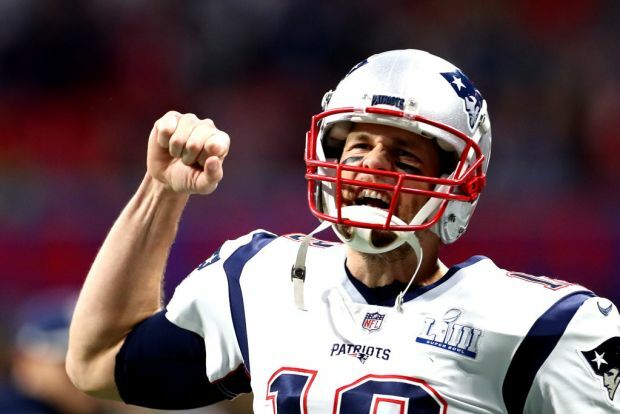 Super Bowl LIII was no exception, with the Patriots riding one of their best defensive efforts in recent memory to a 13-3 victory to capture their sixth Super Bowl title of the century. It was the lowest scoring game in Super Bowl history, yet the largest margin of victory out of any of New England's nine appearances with Tom Brady and Bill Belichick. Wide receiver Julian Edelman, who had 10 catches for 141 yards, was named Super Bowl MVP. The Patriots finally broken into the end zone with 7:00 left in regulation, taking a 10-3 lead on Sony Michel's 2-yard touchdown run. Stephen Gostkowski's 41-yard field goal with 1:12 left on the clock was just inside the left upright, enough to give New England a two-score cushion. A 29-yard catch by Rob Gronkowski helped the Patriots enter the red zone -- the first such drive by either team in the game -- to set up Michel's run. Gronkowski also had an 18-yard catch earlier in the drive. The Patriots defense, which was phenomenal all night long, finally came up with a turnover to help seal the deal. Stephon Gilmore picked off Jared Goff with 4:17 left in regulation, helping New England bleed as much clock as possible before Gostkowski's kick. Edelman was superhuman for New England on a night in which not much else worked for the passing game. Tom Brady was 21 for 35 for 262 yards and an interception, which he threw on the very first drive of the game. He targeted Chris Hogan six times, each pass resulting in an incompletion. Gronkowski, in potentially his final game, had six catches for 87 yards. Patrick Chung left the game on the opening drive of the second half with an arm injury for the Patriots and was ruled out for the remainder of Super Bowl LIII. Things were even worse for the Rams on offense, however, who punted on each of their first eight possessions before finally getting into Greg Zuerlein's range for a 51-yard field goal in the third quarter. Even then, a Dont'a Hightower sack brought a halt to what had been LA's finest drive of the evening. Thousands of Patriots fans flooded the streets of Boston after the team won its sixth Super Bowl. 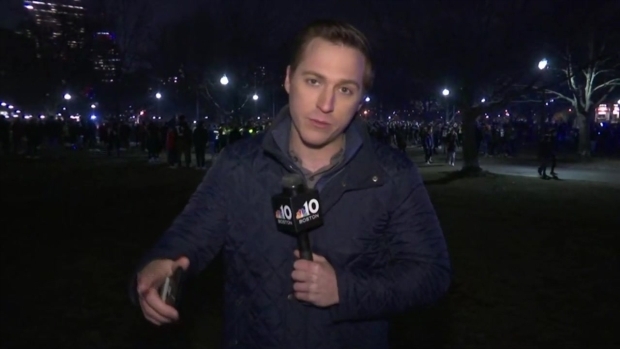 At least three young men have been arrested in the Boston Common so far. They were a lackluster 3 for 13 on third downs, but the Patriots haven been an equally uninspiring 3 for 11. The Rams accumulated just 57 yards of offense in the first half and possessed the ball for roughly half the time that New England did. Jared Goff was 19 for 38 for 229 yards and the pick. He was sacked twice by Hightower, once by Kyle Van Noy and once by Jonathan Jones. The Rams running backs, Todd Gurley and CJ Anderson, didn't help Goff a lick. Throwing in a rush attempt for Robert Woods, LA had just 62 yards on the ground. Michel finished the game with 94 yards, narrowly missing out on his third consecutive game of at least 100 yards rushing in the postseason. His touchdown brought his playoff total to six in three games, however. While Brady was flummoxed at times in the game, he was sacked just once. Aaron Donald, who was named the Associated Press Defensively Player of the Year for the second time in as many seasons last night, had just one quarterback hit. There will be a parade honoring the champions on Tuesday in Boston beginning at 11 a.m.